How To Clean Fresh Water Flake Ice Machine? 1. When cleaning the Fresh Water Flake Ice Machine, turn off the power supply. Do not use the water pipe to directly align with the body of the ice machine. Use clean water and add a proper amount of neutral detergent (do not use acidic, alkaline and other corrosive solvents). Ice machine equipment coaming and liner, then rub with a cloth. 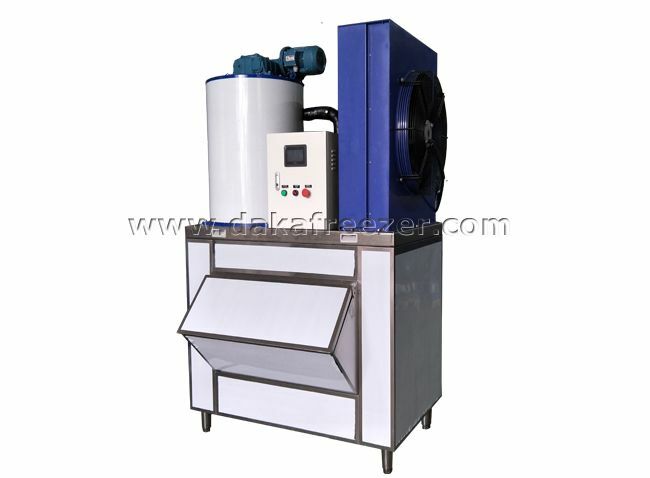 2, the machine from Fresh Water Flake Ice Machine Supplier must be opened twice a month to open the inlet hose head, clean the inlet valve filter, to avoid the cement impurities in the water block the water inlet, the surface caused the water to become smaller, the water is not enough, the water pressure is insufficient, resulting in ice making The machine does not make a machine. 3. The condenser surface must be cleaned in the second month. Do not use a sharp metal tool to clean it to avoid damaging the condenser. 4. The water pipes, sinks, storage refrigerators and protective film of the ice machine should be cleaned every two months. When not in use, it should be cleaned, and the ice mold and the moisture in the box should be dried with a hair dryer, and placed in a place free of corrosive gas and ventilated and dry, to avoid open storage. The ice machine equipment is just like ours. It also needs regular maintenance to reduce the failure rate of the equipment and improve the service life of the ice machine equipment, so that the ice machine equipment can work better for us. What Is The Cause Of The PLC Controller Flake Ice Machine?